There many ways to know that the town is getting ready to celebrate Onam. The resonating sounds of the chenda and the rhythmic singing and clapping of Kaikottikali being one. And the fragrance of pookkalam and the procession of majestically embellished elephants being another. Yes, it’s the streets of Kerala that come alive and send across the message that the state is gearing up for Onam. Ask any Malayali to sum up his thoughts on this high spirited harvest festival and pat will come the reply, “It’s a celebration that brings together the entire state”, and it truly does and how. Sounds of chenda, patterns of pookkalam, sights of vallamkali and the spices of sadya… Onam brings to mind a potpourri of lovely memories and aromas. When I was little, blending fact and fable, my mother used to tell me the story of a powerful asura king Mahabali, whose magnanimity and popularity amongst his people made the Gods envious of him. They sought Lord Vishnu’s help, who guised as a vamana (dwarf Brahmin) went to the king and was granted a wish. Mahabali promised him all the land that he could cover in three steps! Vamana had grown so huge that he could step from heaven to earth, and earth to the lower worlds in two simple steps. King Mahabali, being unable to fulfill the promise of three paces of land to him, offered his head for the third step. Vamana then placed his foot on King Mahabali’s head and sent him down to the netherworld, allowing him to visit his people just once a year. And it is with this belief and spirit that the Malayalis all over the world prepare for the homecoming of their benevolent king on Onam. It recalls the sacrifice of the great king, his true devotion to God, his human pride and his ultimate redemption. Onam welcomes the spirit of a great king, and assures him that his people are happy and wish him well. “Onam is a ten-day event that starts with Atham, first day, followed by Chithira, Chodhi, Visakam, Anizham, Thriketa, Moolam, Pooradam, Uthradam and ends with Thiruvonam, the tenth day,” shares D. Raju,executive member, Kerala Samajam, Chandigarh, “It is on the first day itself that the children and women of the house start making the pookkalam (flower rangoli) using thumba and thummichittu among other flowers. Elaborate designs beautify the tharavads (courtyards) and in each of the subsequent days, more flowers are added to make the pookkalam grand.” R Nanda Kumaran, a journalist, who is now based in North India shares, “One childhood memory I cherish most about Onam is the ritual of getting up in the morning and gathering fresh flowers with a group of friends.” And of course if you are in Kerala, you would be creating many more such memories to cherish. You can catch a glimpse of the traditional and cultural events. “Vallamkali (boat race) in the backwaters is the highlight of Anizham. Chundan Vallams (snake boats) occupied by skilled oarsmen, whose synchronised arm work make the boats appear to be slithering in water, is a spectacular sight to behold and something we miss staying outside Kerala. The sound of the chenda, udukku (percussion instruments) and Puli kali performance (traditional form of art where performers paint their bodies in bright yellow, red and black spots and lines to resemble tigers) adds colour and life to the fiesta,” avers D. Raju. Chitra Nair, a journalist who was born and raised in Ahmedabad. “We practice for days before the final Thiruvathirakali performance on Onam. Decked in kasavu set saree and traditional jewellery, singing and dancing in a circular formation, the women-folk reinforce the spirit of celebration in their own way,” remarks Chitra. 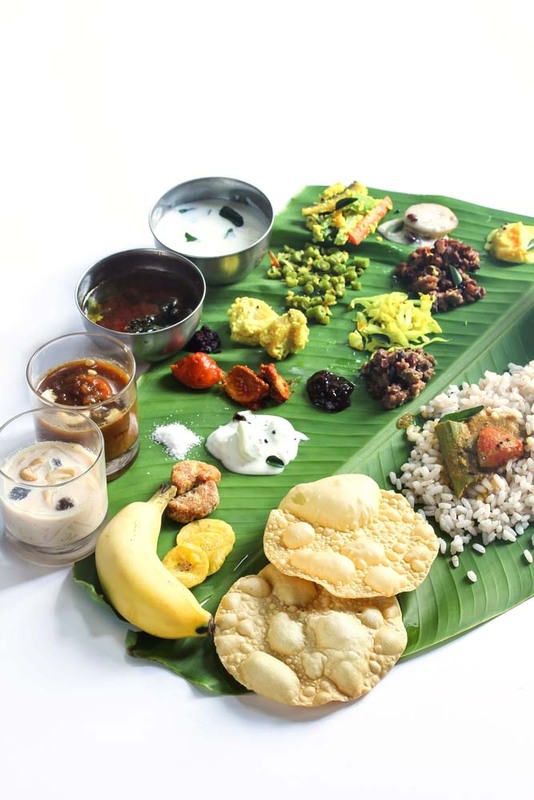 On Thiruvonam, after the morning rituals, kids and elders alike take part in various Onakalikal (festive games) till the most awaited Onasadya is served. 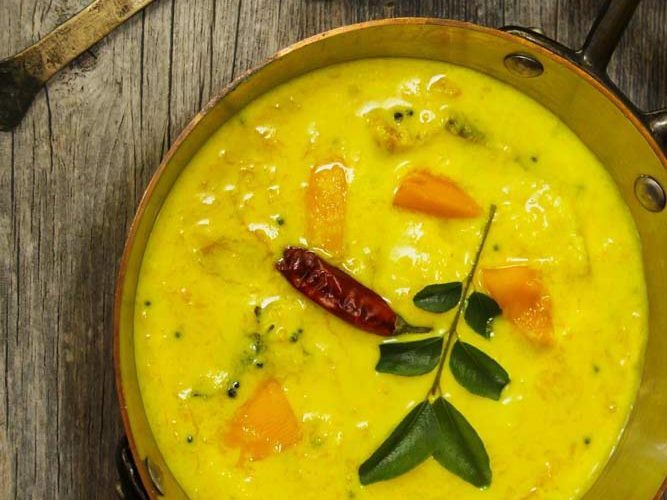 “This is one day when our entire family makes it a point to gather at one place, and sit down for this extravagant vegan feast that consists of rice, parippu (dal) curry, ghee, sambhar, avial, erissery, pulisseri, kootucurry thoran, olan, rasam, curd, pappad, banana, sarkarapuratti, banana chips, injikari, lime/mango pickle and adaprathaman payasam,” he adds, “A specific order is followed while serving the eatables on a banana leaf.” Yes, being away from home is tough shares Ajay Kuriakose Jacob, an entrepreneur, from Muscat, “We start preparing the Onasadya the previous night and spend Thiruvonam in the company of loved ones, and this one day is the most special for all of us.” NK Pillai, who too has been away from Kerala for the last 40 years, feels that recreating the merriment of Onam in a distant land is tough but is also wonderful to see the whole community come together, “I miss the charm of the festival spread over a period of ten days but we still make the most of the one day by indulging in Thiruvathirakali, Kaikottikali, Bharatanatyam, Onakalikal and more.” Yes, such is the charm of Onam that even being away from home, it infects us with a sense of belongingness.